Prime members get 20% off diapers subscriptions and a 15% Baby Registry completion, compliments of Amazon Family. PLUS MORE! Head over HERE and browse around for your diaper choice! Looking for gifts? Check out the Best Toy Sellers + $10 &amp; Under Deals! 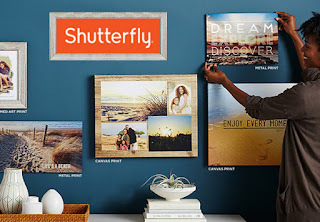 Hurry over because today only you can get one of these select items for FREE at Shutterfly! Choose from One Notepad, One Magnet, One 8x10 Art Print or One Reusable Bag for Free! Just use coupon code 1FORYOU at checkout. New Coupons - Excedrin, Jimmy Dean, Garnier , HALLS + More! Here are the latest coupons and rebates available! Snag your favorites before they are gone! Save $1.00 on ANY ONE (1) L'Oréal® Paris Root Cover Up spray.Expires 10/8/2016.Save $1.00. Save $2.00 on ANY ONE (1) L'Oréal® Paris Sublime Bronze product (excludes trial size).Expires 10/8/2016.Save $2.00. Save $1.00 on any ONE (1) PRONAMEL® Toothpaste (4.0 oz or larger).Expires 5/24/2016.Save $1.00. Save $1.00 on ANY ONE (1) SENSODYNE® Toothpaste (excludes 0.8 oz).Expires 5/22/2016.Save $1.00. Save $4.00 When You Buy any TWO (2) Schwarzkopf Essence Ultîme® or Styliste Ultîme® Hair Care or Styling Product.Expires 5/7/2016.Save $4.00. Save $1.00 on ANY ONE (1) GARNIER® FRUCTIS® Style Product (Excluding Trial Size 1.7 oz, 2 oz &amp; 3 oz).Expires 5/7/2016.Save $1.00. Save $3.00 When You Buy ONE (1) Schwarzkopf Color Ultîme® or Keratin Color Hair Color Product.Expires 4/30/2016.Save $3.00. Save $1.50 on ONE (1) Dial®, Dial® ADVANCED or Tone® Bar, 6ct or larger.Expires 4/28/2016.Save $1.50. Save $1.50 on ONE (1) Dial® or Tone® Body Wash, 12oz or larger.Expires 4/28/2016.Save $1.50. Save 100% when you buy ONE (1) 8.5 oz. box of Jiffy® Corn Muffin Mix..Expires 4/10/2016.Save 100%. This is genious! Hurry over and check out these Baby GoTo 2-in-1 Portable Travel High Chair for $39.99 (Retail $59.99). This amazing chair holds an infant car seat at the perfect feeding height. It also has leg room for a secure and effective highchair. Take it with you on vacation, camping or just use it around the house. Once your child is out of the infant car seat, the 2-in-1 doubles as a high chair, including a full 5-point safety harness and easily fits in the trunk of your car or an overhead storage rack for easy travel. 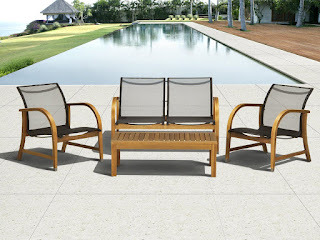 With the GoTo travel chair, you will never need to worry about using dirty, unsafe equipment again. 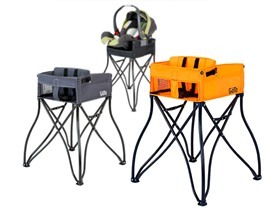 This durable and highly functional portable high chair gives you a safe, stable and sturdy place to set your infant or toddler for meal time any time you go out. Storage pockets for the essential tools every parent needs. It has a strap for easy carrying and you can haul it on your shoulder like a small duffle bag. It stows unassumingly in the closet or trunk so you can access it whenever you need. My 9 year old was just asking about this magazine! Hurry over and check out National Geographic Kids for ONLY $15 (Retail $39.50). 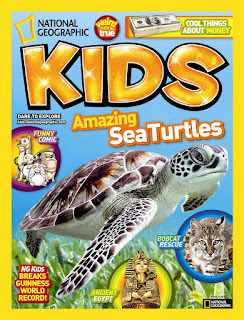 NATIONAL GEOGRAPHIC KIDS is a fact-filled, fast-paced magazine created especially for ages 6 and up. With an award-winning combination of photos, facts, and fun, NG KIDS has captivated its more than one million readers for over 35 years. Articles and departments entertain and inspire readers to learn about their world with amazing information about animals, science, technology, archaeology, geography, and pop culture, plus jokes, games, activities in every issue. The first print issue should arrive in 6-10 weeks. Amazon is offering Up to 55% Off Wood Outdoor Patio Sets! 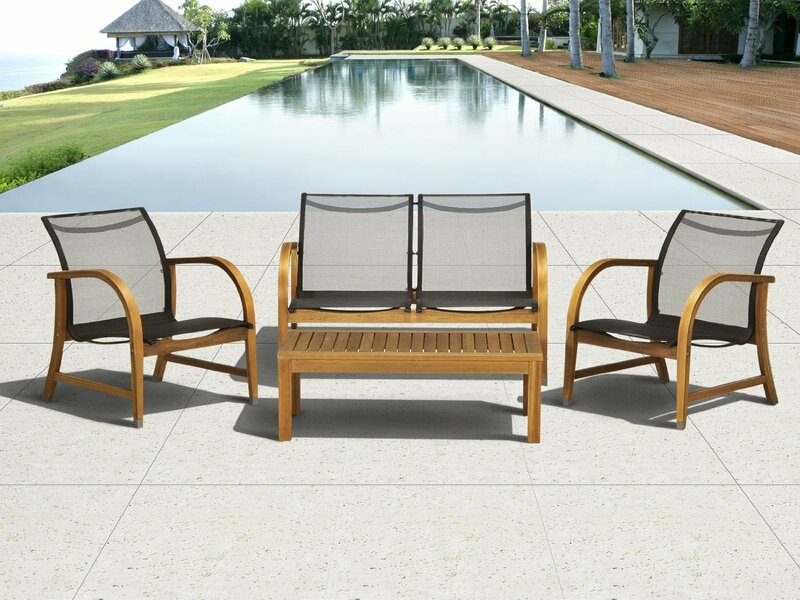 I think this Amazonia 4-Piece Manhattan Eucalyptus Deep Seating Set for $488 (Retail $799) is pretty cool &amp; different! -1 sofa 27" W x 44.5" D x 29.5" H. 2 armchairs 28" W x 24" D x 29.5" H. 1 coffee tables 19.5" W x 38" D x 13" H.
-FREE Sealer Protector for longest strap durability. It works great against the effects of air pollution salt air, and mildew growth. Head over HERE and browse around for your favorites! Heading to the beach? Make sure you prepared with this Personalized Sea Shell Tote Bag for $13.99 (Retail $19.99). This is a great beach toy or pool toy. You can even can use it for a toy bag at home. You can personalize the bag. $3.75 for the first item and $2.50 for each additional item. US only. Ships no later than Tue, Apr 26. NEW Beautiful Crochet Swimming Suit Coverups for ONLY $19.99! The Beautiful Crochet detail will turn heads whether at the beach, pool, or lake! Easy to slip on and off...but pretty enough to wear around town! $4.99 for the first item and $2.99 for each additional item. US only. Seller usually ships within 6 days. Ships no later than Tue, Apr 19. 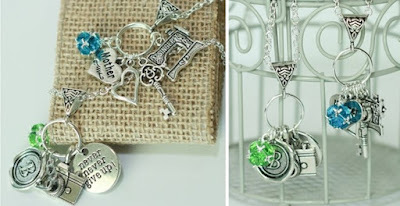 Custom Charm Necklaces $11.99 *Mother's Day / Teacher"
Hurry over and check out these Custom Charm Necklaces for $11.99 (Retail $40). These charm necklaces make perfect gifts, especially for mother's day, or just a fun way to express yourself! Make it extra personal by including an initial or a birthstone or both! Each necklace comes with an 18 inch chain and beautiful bail and loop to add up to 5 charms of your choice! The chain is made of a zinc alloy and is lead and nickel free. $2.99 for the first item and $1.49 for each additional item. US only. Ships no later than Tue, Apr 26.